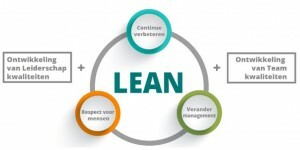 Het Lean lego game is wellicht het meest bekend en meest onderzochte game. The game has been run by 1000+ people worldwide and we’ve received great feedback, so it’s exciting to have you on board. To run the game you’ll need some materials which includes a “How to” guide, a presentation and… of course… Lego! Available to you if the game will be played with no commercial benefit. This would include user groups, community meetups, schools & universities and other similar events where it is free for participants to join. We’ll send you all the materials needed to run the game in electronic PDF format (excluding the Lego bricks). Available to you if you are running the workshop in a commercial environment. This would include inside your company, conferences where participants are paying to participate or consulting engagements. We’ll send you all the materials needed to run the game in electronic PDF format plus the PowerPoint or Keynote file with the presentation deck for you to modify (excluding the Lego bricks). Available to you for all situations (commercial and non commercial). This is a hassle-free version where you don’t have to spend time printing the materials and sourcing the Lego. We’ll send you a package via post with all the materials and lego needed to run the Lean Lego Game for a group of 20 people. Please reply by email to let us know which version you would prefer and any other questions that you may have about the materials or options above.